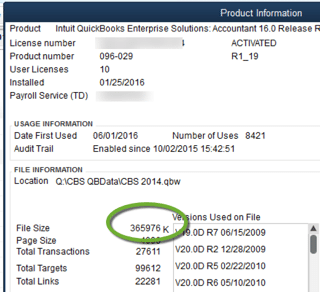 Let’s talk about why file size is important in QuickBooks! Size really does matter! There is such a misunderstanding of the different versions of Quickbooks Pro, Premier & Enterprise. The word Enterprise is confusing, it makes people think that the software is too big for them when in fact it may be a perfect fit. This software is not designed for Mid-Large corporations, it’s perfect for Small Businesses. Unless you are only using your software as a checkbook like the product Quicken, there is a good chance you are in a product that is too small for your needs. QuickBooks Pro and Premier have exactly the same file size limitations. They talk about lists being limited to 14,500. This number makes no sense to most and we have found an easier way to determine if you have outgrown your software. Simply press F2. 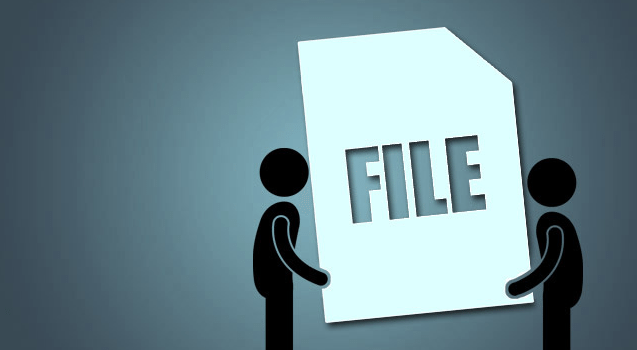 Is your file size 100,000K or higher? Then you have outgrown the software. QuickBooks Enterprise can handle your data file up to 1,000,000k comfortably. If you grow higher than this, you can either use a third party file shrink service or you will need to move to a different product. Below is a screenshot of where to look to view your file size. What is the difference between QB Pro/Premier and Enterprise? What happens if you ignore a file that has grown too big? Also instead of having to purchase software for one flat rate, you can now pay a subscription which is less than your cable bill or utility bill and get the software you need. View our pricing sheet here. Why cram your size 9 foot in a size 6 shoe? What are the real savings? If you would like a quote on QB Enterprise, click here and our team will contact you with a pricing quote.